We aimed to evaluate the prevalence of sexual dysfunction in hypertensive women and compare sexual dysfunction between hypertensive and non-hypertensive women. Conducted a systematic review in the following databases: PubMed, EMBASE, Scopus, Web of Science, IBECS, and Lilacs. We included articles evaluating the prevalence of sexual dysfunction in a woman and/or comparing sexual dysfunction between hypertensive and non-hypertensive women. 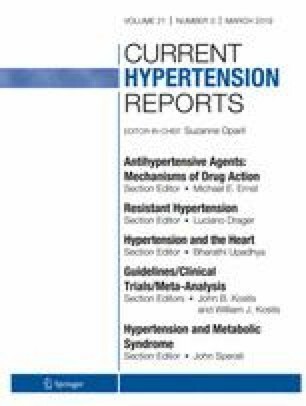 Studies were excluded if they evaluated patients with secondary hypertension, examined sexual dysfunction caused by drugs, did not distinguish by gender, or included patients with hypertension and other comorbidities/pathologies. We conducted an I2 test to calculate heterogeneity and a meta-analysis to compare sexual dysfunction between hypertensive and non-hypertensive women. A meta-regression equation calculated the relationship between sexual dysfunction risk for hypertensive and age. Eleven articles were included: five were included in the meta-analysis (1057 hypertensive and 715 normotensive). The prevalence of sexual dysfunction in articles varied from 14.1 to 90.1%. In the meta-analysis of the sexual dysfunction, the relative risk between hypertensive and normotensive women was found to be significant and has a high heterogeneity (I2 =92.6%, p < 0.001); the pooled results revealed a significant risk ratio of 1.81 (95% CI 1.10–2.97, p < 0.05). The relative risk for hypertensive women showed an association with age (b = 0.0333, p < 0.0001). The studies analyzed presented significant limitations in relation to methodology and a small sample size. Consequently, the meta-analysis was highly heterogeneous and reinforced the need for further research in this area. We would like to thank the Instituto de Cardiologia do RS—Fundação Universitária de Cardiologia (IC-FUC) for assistance in developing the study. It registered in the Prospero (International Prospective Register of Systematic Reviews) database under the number CRD42014008704. S.M.L and P.L conceived the study, participated in the study design, and helped to draft the manuscript; I.S.F.J, L.R, R.G.C, and G.S participated in the study design and coordination, undertook data analysis, and helped to draft the manuscript; E.B and G.S participated in the study design and coordination. All authors read and approved the final manuscript. This study was financially supported by Fundação de Amparo à Pesquisa do Estado do Rio Grande do Sul (FAPERGS). Ethical approval was obtained from the Ethical Committee, Foundation University of Cardiology for conducting the research study.